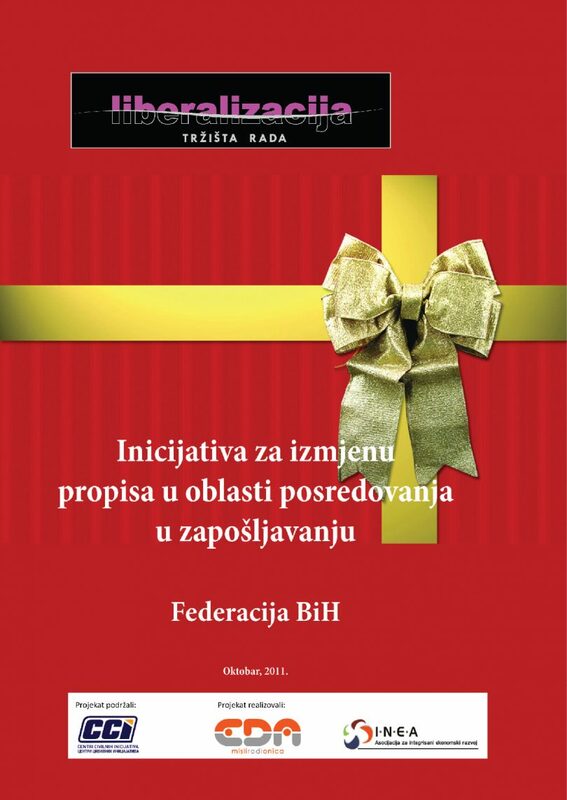 Description: “Initiative for Amending Regulations in Area of Job Searching Support – Federation of BiH” contains a working version of the Law on Amendments to the Labor Law, with detailed explanation; the Law on Amendments to the Law on Mediation in Employment and Social Security of Unemployed, with detailed explanation; the Regulation on Amendments to the Regulation on Private Agencies for job searching support, with detailed explanation, as well as a Model of Public Invitation for Use of Active Measures for Employment. The initiative was submitted to the representatives of relevant institutions in the Federation of Bosnia and Herzegovina with a request for consideration and inclusion in the Program of Work / Agenda in the first quarter of 2012. The publication is available only in local language.